March 26, 2019 – Today, franchise owners of Max Muscle® Nutrition have announced the formation of Max Independent Franchise Owners Association (MaxIFOA, Inc.), a self-funded alliance to represent their interests with the South Dakota-based company. The organization, while working with Max Muscle Nutrition®, will be a unifying voice of franchisees, focusing on franchisee profitability while enhancing the brand to positively impact the system. “We are excited to be taking this step to formalize a franchisee voice”, states Mark Sarale, Chair of the interim board of directors and franchise owner from Northern California. “I, and the rest of the interim board, look forward to contacting and working with all the franchisees to improve our equity and voice within our brand”. MaxIFOA has emphasized four (4) areas to help its franchisees: (1) addressing the royalty structure in light of today’s business model and the support received from the franchisor, (2) increasing the sharing of Internet sales revenue and data, (3) growing sales through improved product development, product safety and transparency to improve customer trust, and (4) seek transparency in the National Marketing Fund, added Sarale. MaxIFOA has hired Keith Miller, Principal of Franchisee Advocacy Consulting, to serve as their Executive Director. 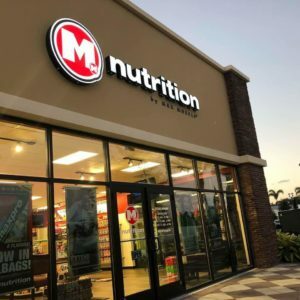 “There is great potential in the power of the franchisees, as a collective group, to improve franchisee profitability and to rightly include their voice as a key stakeholder in the Max Muscle® Nutrition brand. I look forward to assisting them in their efforts”.